After a successful Routes Africa, the joint hosts of the 2012 event, the Seychelles Tourism Board and the Seychelles Civil Aviation Authority, have officially handed over the Civil Aviation Authority of Uganda, and their main airport, Entebbe International who will be the host destination and main airport of Routes Africa 2013. 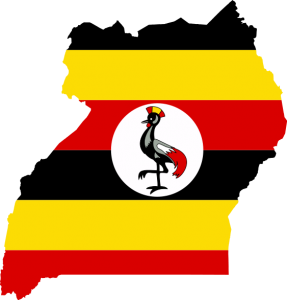 The 8th Routes Africa will take place in July 2013 and Uganda, the Pearl of Africa as it is commonly positioned, has a fast growing tourism sector with an annual growth rate of 21% on average, contributing 24% of the total foreign exchange earnings. Domestic tourism has grown by 50% over the past 10 years. The region has 6.8% of the world’s butterfly species, 10.2% bird species, 7.8% of world mammals and 53% of mountain gorilla population, the animal that is closest to man. Uganda is also the source of the longest river on the continent and world, River Nile with the most electrifying rafting opportunity on earth. Uganda is an investment destination especially after the discovery of oil in Uganda. This has greatly boosted passenger volumes through Entebbe International Airport. Business Insider South Africa is live!